Until less than a century ago, the tow prevailing views of dreams as well as of souls were that they are inconsequential (the scientific view) or of divine origin (the religion view). In either case it was assumed that they cannot be objects of rational inquiry. 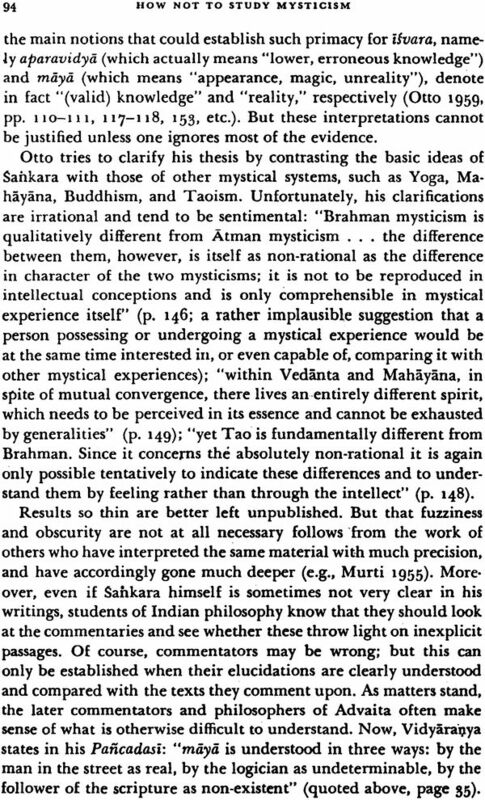 Similar views still prevail regarding mystical experiences and mysticism in general. Modern opinion, whether friendlyor hostile, holds that the mystical falls squarely within the domain of the irrational. 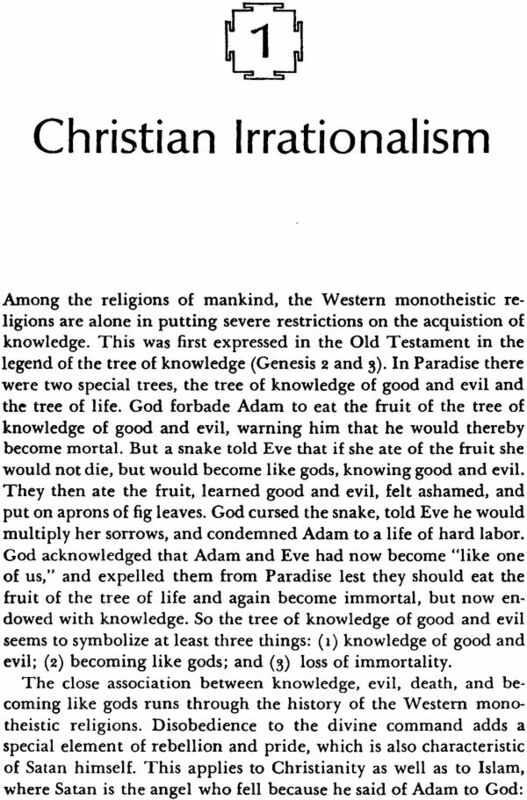 Mr. Staal argues that mysticism can be studies rationally, and that without such study no theory of mind is complete. He exposes the grounds for the belief that grounds for the belief that mysticism cannot be studies, and shown them to be prejudices issuing from a particular historical development. While his content kin has unflattering implication for the contemporary study of the humanities in general, it reveals in particular that existing academic approaches to the study of mysticism, even those that appear sound, are in fact inadequate. This conclusion applies to a variety of dogmatic inquiries and as becomes clear in these pages, to phi logical, historical, physiological and psychological ones as well. 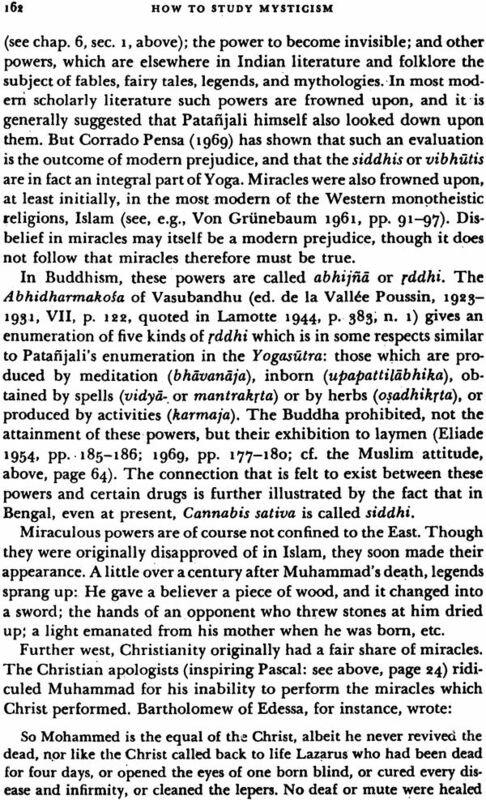 The illustrations in exploring Mysticism are drowning mainly from Indian forms of mysticism such as Yoga, Supplemented with Buddhist, Taoist Muslim and Christian examples. Professor Frits Staal (1930-2012) was an internationally known authority on Sanskrit grammar, mysticism and ritual studies. During his long career, Professor Staal served in a member of Berkeley’s Department of Philosophy; he founded the university’s Department of south and south East Asian studies in 1973 and served as its first chair. 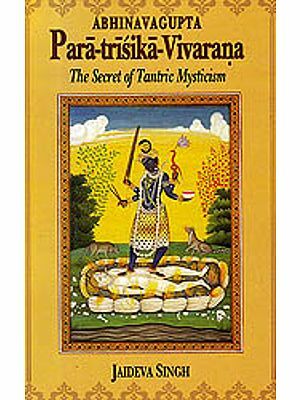 He was especially highly regarded for his original, if often provocative and even controversial studies of Vedic rituals. This was exemplified by his study of the Vedic agniacayana rite, titled, Agni; the Vedic Ritual of the fire Alter. Professor Staal was noted for this insistence that his formal disciplinary boundaries of academic were largely artificial. Thus, he was equally at home in exploring such areas as Vedic studies, mathematics, philosophy, philately, linguistics, religious studies, ritual studies, mysticism and birdsong. 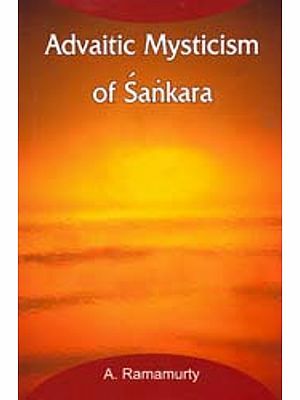 As the title indicates, this essay deals primarily with the exploration of mysticism, not with mysticism itsef. 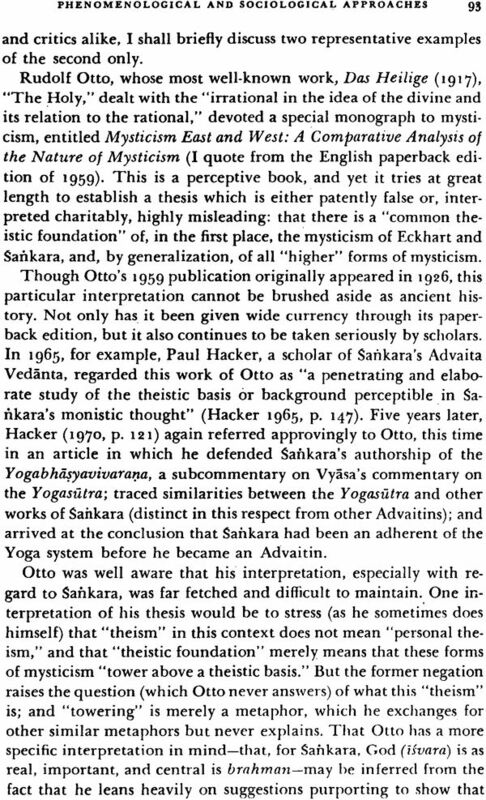 It reviews the methods by which mysticism is generally studies, and it explores methods by which it can be studied more fruitfully. In doing so, it is also concerned with mysticism itself, but my results in this area are haphazard and probably premature. In the discussion of methods I have attempted to be more systematic and comprehensive so that future explorations may have a firmer foundation. In the study of mysticism a common drawback is lack of experience. However, prejudices prove to be the most persistent obstacles, especially to professional students of religion, but also to those who approach it from other angles. I have tried to present a case for a rational point of departure, and have indicated in which directions one might go from there. This has taken me into mystic domains which are widely regarded as beyond the pale of critical investigation. I argue that they are not, though I do not wish to be understood as meaning that we should try to reduce them to common sense. One conviction which underlies my approach is that the present situation in the study of man and of mysticism as a special case is profoundly unsatisfactory. I believe that the two main approaches have failed the attempt to assimilate the humanities to what the natural science are imagined to be (as we find for example, in positivism, in behaviorism, and often in the social sciences); and the attempt to exalt the humanities to something very special that requires a unique approach (as we find, for example, in existentialism in phenomenology, and often in Western religion). Because of these failures we understand surprisingly little of the human mind one of the reasons incidentally, that mankind is in such a bad shape. Insofar as the study of mysticism is a study in the humanities, my essay may be regarded as an essay in the methodology of the humanities. 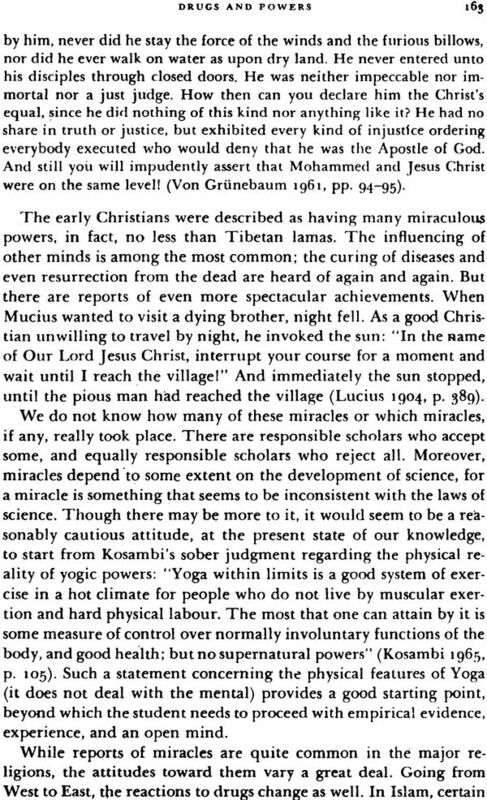 But mystical experience affect the body as well as the mind, the therefore pose problems which are within the purview of the natural sciences (e.g. physiology and neurology). Mystics, moreover, are members of society, even if they are drop outs so that the social sciences can also contribute to the investigation. This variety of approaches is not confined to the study of mysticism, but characterizes the study of man in many other respects. So much so that one wonders whether such departmentalization is anything more than mere division of labor. To the extent that philosophy analyzes different approaches to the study of man, my essay may be called a philosophical essay. I have already indicated that it does not fit in the traditions of positivism, behaviorism, existentialism, or phenomenology. It is less antagonistic to what is sometimes vaguely referred to as analytical philosophy, but here some clarification is in order. Modern analytical philosophy is rightly criticized for confining the use of excellent tools to the miniature arena of conceptual analysis. The better practitioners try to extend this region. Since I believe that he mind is still largely unexplored, I am working further away, in a hazier area. This has its own charms, and own pitfalls. From a logical point of view I have used only light equipment in particular a theorem that may be regarded as the foundation of rationalism the theorem that self contractions are false. This principle dies a lot of work in logic and a good job in philosophy, eastern as well as western. When applied to the study of mysticism its impact is divesting. Not that it effects contracted by scholars and research workers only to show glimpses of their true object which now beings to glow and reveal aspects of the mind we are not accustomed or trained to perceive or describe let alone explain. If I had to choose a single label to distinguish my approach from those that have been mentioned I would settle for rationalism. This term stresses to say the least, the need for rational explanations. 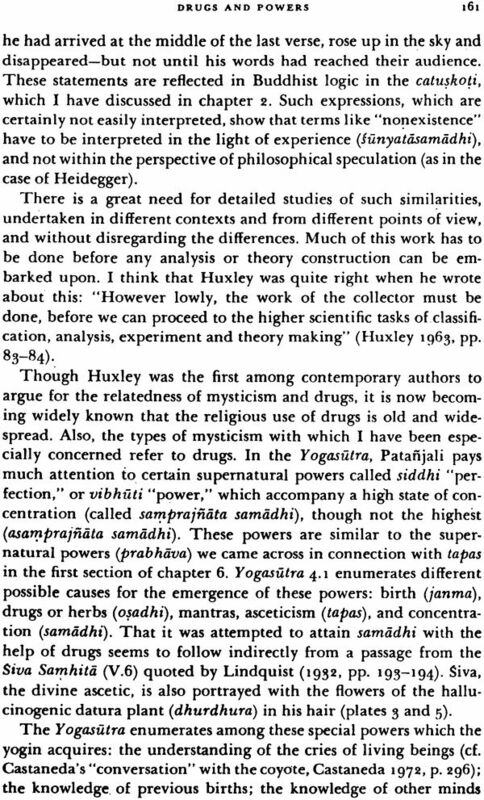 Past studies and fieldwork in India on several occasions and any own experience of so called altered states of consciousness may have added substance to what other wide might have remained idle speculation. But my demonstrations do not depend on these experiences. The use of Indian materials calls for a word of caution, as readers of a different background may come across unfamiliar terms and concepts. 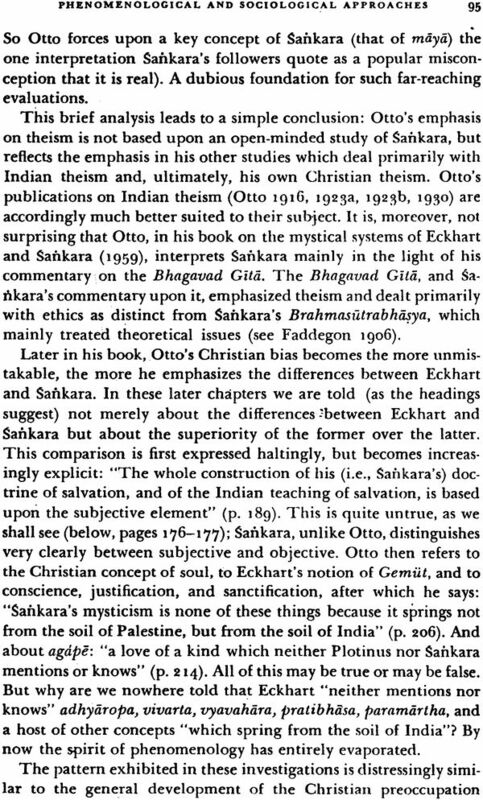 Such readers are advised to read, and occasionally return to the section on sources of the Indian Tradition at the end of the introduction. 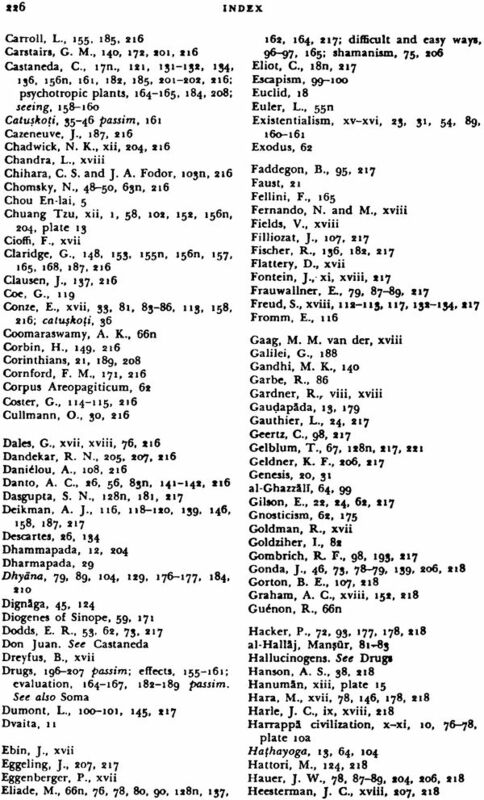 There is also a glossary that may be of assistance. Though I have made use of existing translations, the translations from the Sanskrit, unless specified otherwise, are my own. 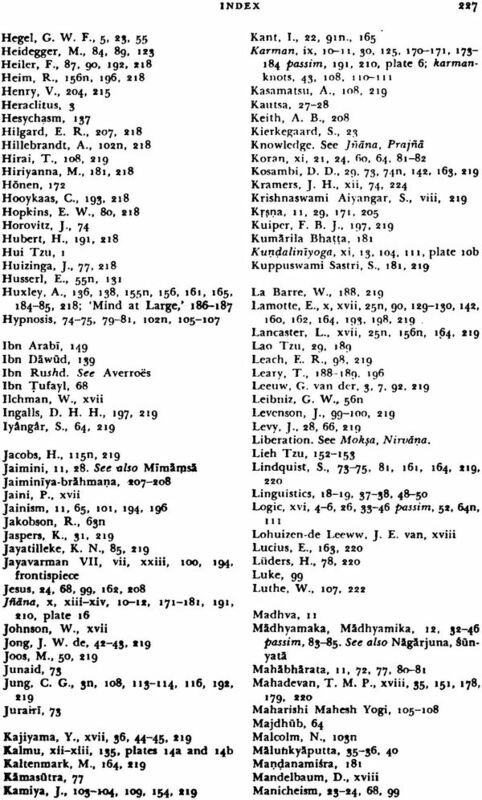 Where the Sanskrit original is lost and only their translations into Chinese are extant my quotations are based upon Lamotte’s French translations. In its presents from this essay has grown out of reflection, readings, conversations, discussions, and lectures, at Berkeley and elsewhere on the significance and possible relevance of Indian and other forms of mysticism. Its main approach as applied to the study of Yoga, has been the subject of lectures of Kyoto. In each of these places excellent audiences have helped me to add precision to my thoughts and develop them further. 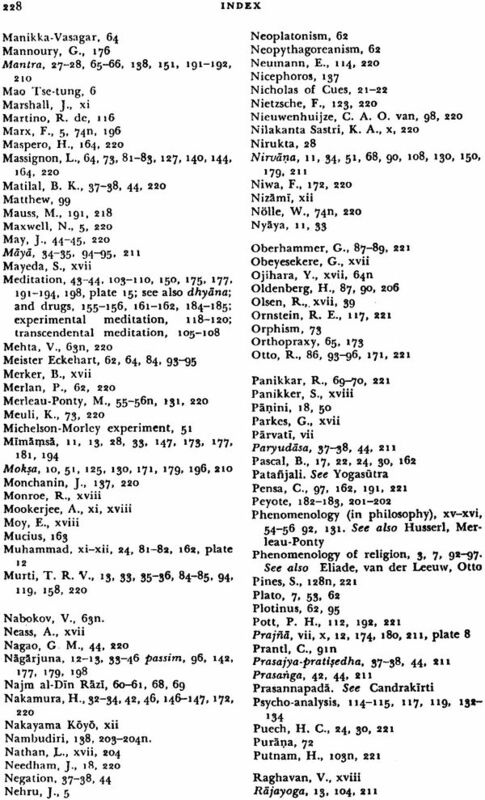 When exploring Mysticism was published first in English and subsequent in Swedish, Dutch, Italian, and Japanese translation, it was heralded as a plea for taking drugs, enriched by information on their uses as accessories in the mystical traditions of Asia Vedic, Hindu and Buddhist as well as Taoist. As the subtitle of the American edition indicated however the book’s aim had been different this essay on method claimed that he student of mysticism should, among other things, engage in meditation and experiment with drugs just as any investigator of vision would freely use an innate ability to see to gather with any available technical improvements to refuse to do so would be tantamount to adopting the attitude of the women of the imperial court who objected to the spectacles prescribed for the last emperor of china. Exploring Myticism is reprinted without change not because it was perfect but because it led to a new approach in the human sciences that I have tried to develop in subsequent publications. The methodology adopted in these later writings is the same as that of exploring Mysticism but it was become more explicit and is now, I like to think, better founded. 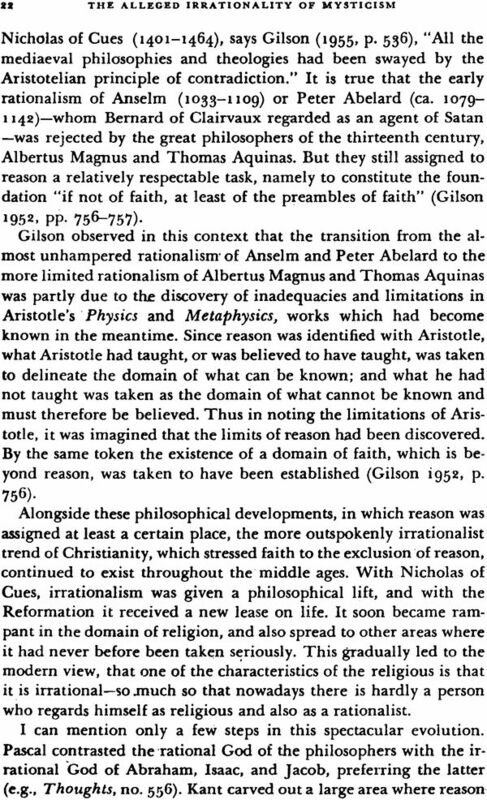 I still maintain that the rationalism advocated in Part I of exploring Mysticism am the only adequate foundation for any investigation in philosophy or science. The thesis that such rationalism is characteristically Asian has been more fully developed in another book, universals (University of Chicago, 1988.) this is relevant if we accepts that the human sciences of the future will be not merely western but universal. Underlying Part II and III of exploring mysticism is the assumption that there exists no basic difference between the human, physical. And social sciences. Arguments (Peter Lang 1988) and are exemplified by its analysis of ritual and mantras, based upon agni the Vedic ritual of the fire altar tries to explain and overcome the remarkable convergence, discussed in chapters 3 and 4 of exploring Mysticism, between behaviorism, Ludwig Wittgenstein’s ordinary language philosophy, phenomenology, hermeneutics, and other recent developments, to which de-constructionist approaches my now be added. In all these respects, exploring Mysticism paved the way. Viewing this book from the vantage point of later research, I can now clarify with greater precision than would have been possible in 1975 what exploring Mysticism did and did not that its apparent meanderings are segments of a chain of reasoning that leads to a definite conclusion. To draw this conclusion, however, we have to look beyond the study of religion to anthropology, linguistics, and logic. A useful point of departure is Emile Durkheim’s study of religion in terms of beliefs and rites. 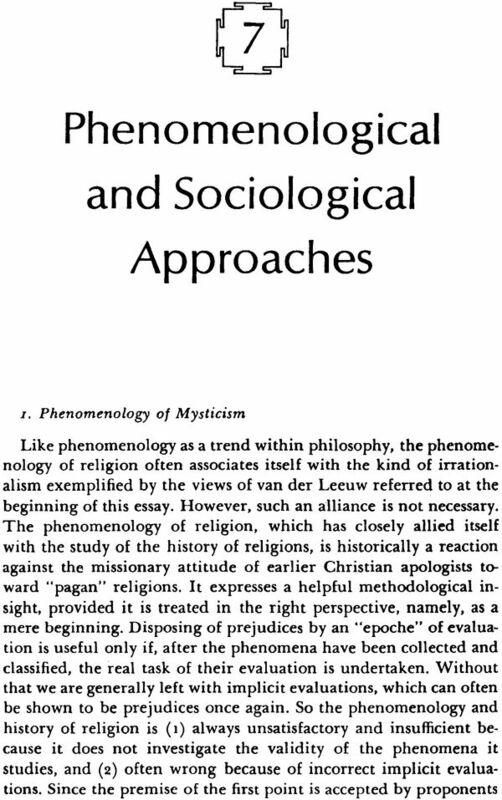 Because of his positivistic bias, Durkheim ignored mystical experience although it is as intrinsic a part of what is traditionally regarded as religion as are beliefs and rites. Mystical Experience, moreover, corresponds to ordinary experience just as belief and ritual correspond to thought and activity, respectively, as Durkheim had noted. Positivism is not the only feature of Durkheim’s prejudice. Christianity is another, although it is summed, without proof or investigation, that rites depend on beliefs. This assumption was questioned in exploring Mysticism which studied superstructures as interpretations but only Rules without Meanings established beyond reasonable doubt that, if there is any priority at all, rites must come first. In Asia, where orthoproxy (insistence on right activity) takes the place of orthodoxy (insistence on correct doctrine), ritual precedes belief. The predominance of belief over ritual is confined to the monotheisms of the west it is found in Judaism Widespread in Islam, and special characteristic of Christianity. The chemical sense of a thing leaves no room for any other winder or deeper sense. It is the sense of the whole. It is the last word. That sense is never understood; that word is never uttered. Both go always beyond us. The ultimate sense is a mystery, which again and again reveals itself and yet remains always hidden. 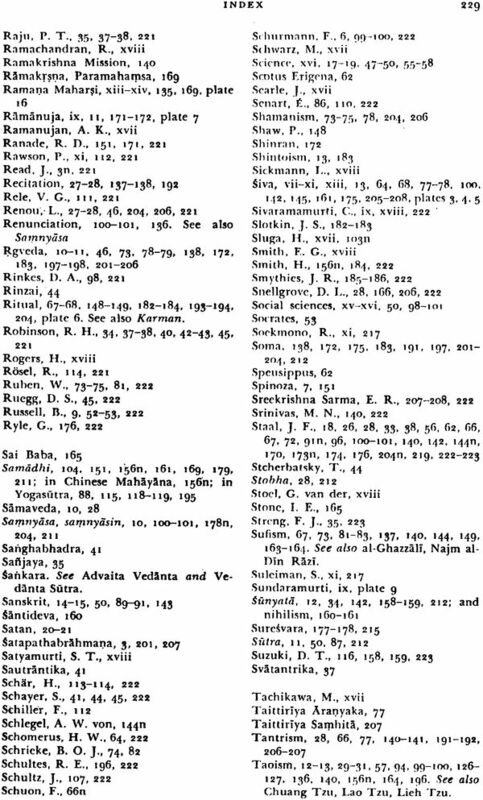 This quotation is not taken from chemistry textbook, not even from a manual of alchemy. It is the result of substituting the word chemical for the word religious in a translation of a passage in which the study of religion is characterized by G. van der leeuw, the founder of the phenomenology or religion. In this essay I propose to analyze and criticize the notion that religious phenomena are ultimately mysterious, cannot be rationally studied as if they could be studies irrationally and therefore cannot be adequately understood or explained. This notion has kept the study of religion on a level with alchemy, has prevented significant discoveries in that domain, and is as I shall argue nothing but the outcome of a bundle of prejudices. There are historical causes for these prejudices. 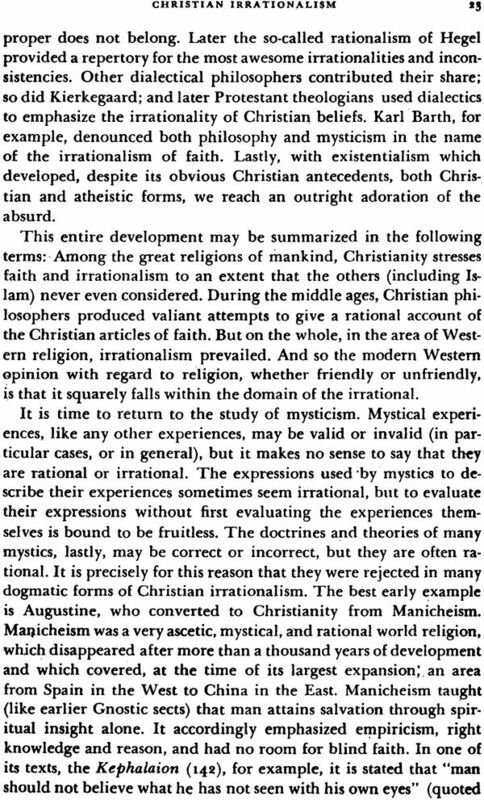 I shall try to establish that an irrational approach is also unproductive when applied to mysticism. it does not follow from the thesis that this approach is unproductive in the realm of religion for I hope to show that mysticism need not necessarily be regarded as a part of religion. To claim that rational explanations can be given in these areas does not imply that reason is our only faculty or even our best. I believe that we can do better things than study. but studding is a rational activity, and if we decide to engage in studying something then there is no point in the next moment sayings that it cannot really be done because the domain is irrational. The objects of our inquiry need not, of course, be rational. Trees and rocks cannot be meaningfully called rational, but it does not fellow that they are therefore unintelligible or cannot be studied rationally. There is no need to assume that here is a threshold beyond which things are unintelligible unless we can show that there is such a threshold. It is not enough to point at certain things that are difficult to understand or that appear or happen to be unintelligible we have to establish that they will always remain or are in principle unintelligible. As long as that is not done we have only two options as far as understanding is concerned either to try to understand or to admit that we do not with to a perfectly legitimate move. The question arises whether we can ever show anything to be unintelligible. The answer is in the affirmative. First, there are certain metaphysical theories that can be said to be unintelligible in the sense that they try to point at what cannot be understood. Understanding requires duality, for example, if not multiplicity. Accordingly in such philosophies as the Advaita Vedanta, according to which reality is non dual reality cannot be understood. 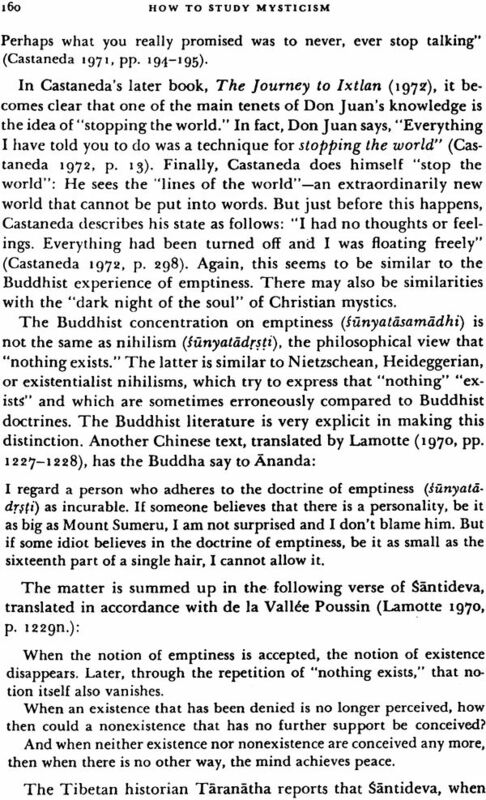 Taittiriyo panisad refers to this situation paradoxically by saying that the absolute is that from which all words return having failed to reach it with the mind. Unintelligibility can also be established in a less metaphysical realm. Theories which incorporate falsehoods as if they were true and unintelligible. This principle applies to inconsistent theories, or theories which incorporate a contradiction, as when two statements are both presented as true but one is the negation of the other, in the same respect. In logic, there are theories of which the inconsistency can be established by a precise proof; as soon as we show that two contradictory statements can be derived in a given theory, we have thereby shown that the theory is inconsistent. 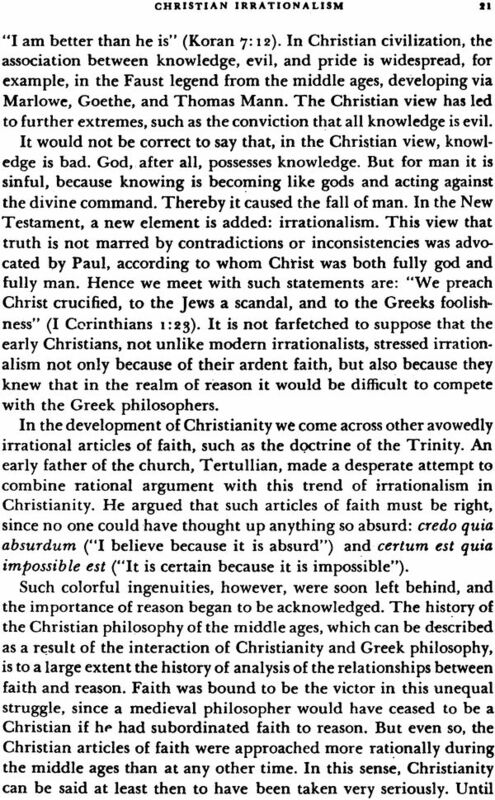 Since contradictions are false, theories which accept contradictions as true are unintelligible.